I have not actually read the below review as I want to start playing the game spoiler-free. But I am happy that it has got a 4 star review. I can't wait to start playing this, I am a big fan of Olly Moss (a British artist) who helped to create the game. We have a few of his game inspired posters in our house so can't wait to start playing Firewatch. 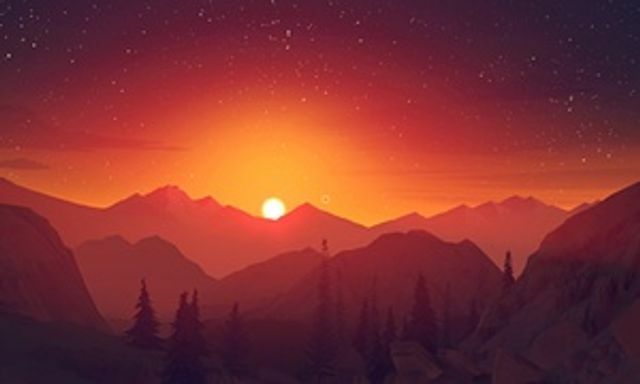 Firewatch is a game about solitude and space, a first-person journey through the massive wilderness of America’s Yellowstone National Park. It’s a space of such magnitude that it almost unavoidably conjures mysteries and conspiracies of corresponding size. But at the close, we are drawn back down to the essential and human.